Wow, what a difference. 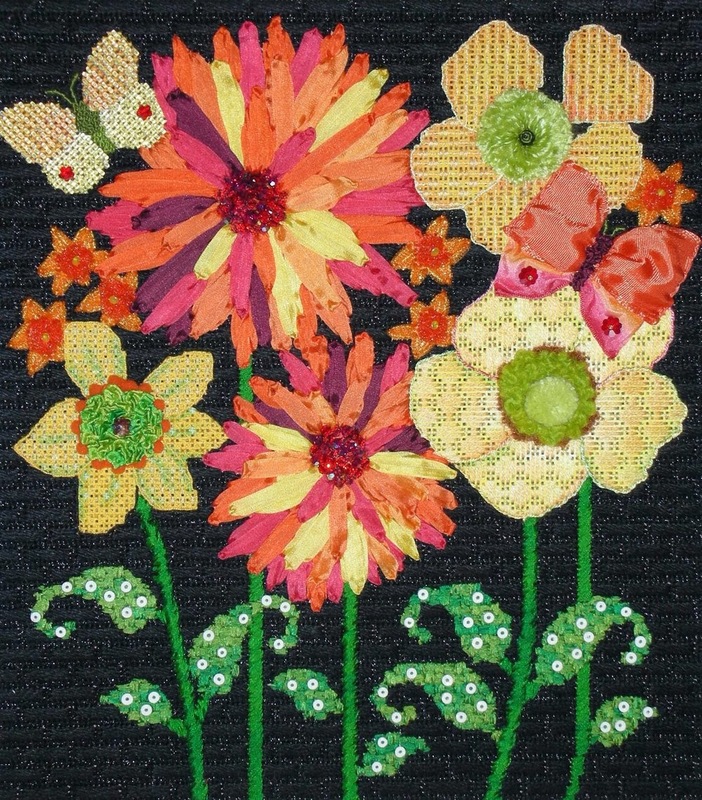 This summer a group of us stitched Melissa Shirley’s Mellow Yellow canvas as the very first Mystery Class at Bedecked and Beadazzled. 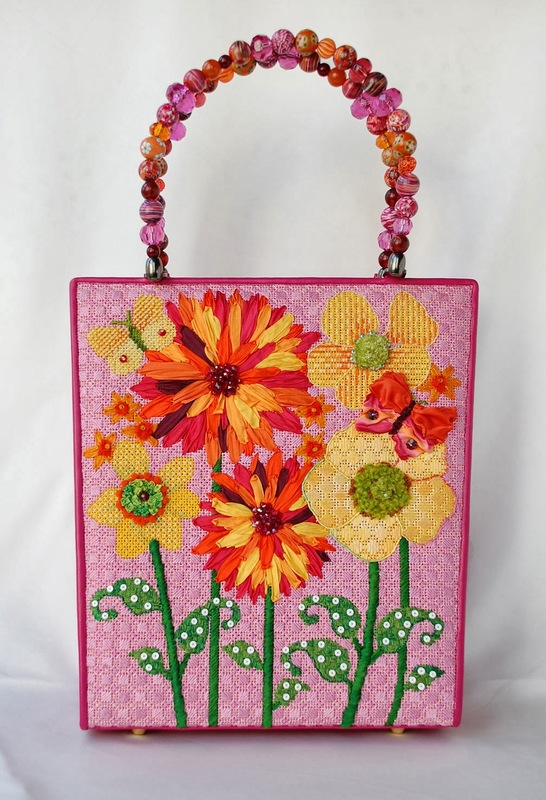 It was so much fun, and I love my finished purse. But wow, what a difference a color change can make! A friend of mine stitched the background of hers in black. That was the only color change. We did a different stitch in the background to cover the pink paint more thoroughly, but that’s it. Everything else is exactly the same. It is stunning! Thanks for sharing the photo Sue! « Previous Mystery Post: Now where are those Spring Flowers??? Both of these are stunning!